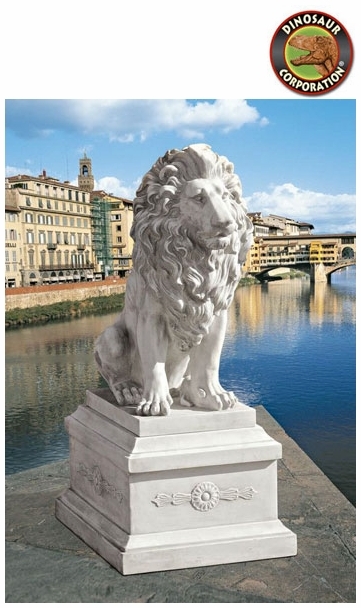 Lion of Florence Sentinel Statue with Base. 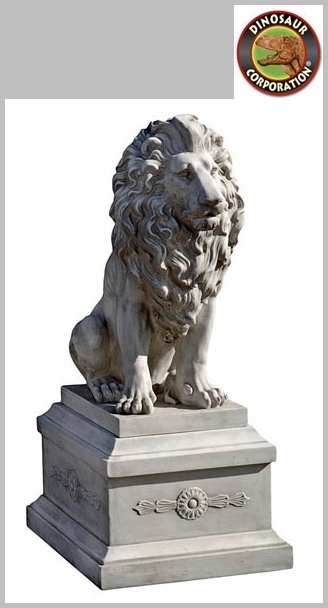 The sweeping grandeur of Italian estates is yours when you welcome the sophisticated, architectural drama of our lion garden sculpture to your home or garden. * Lion Size: 13" W x 21�" D x 28" H.
* Lion Weight: 21 lbs. * Base Size: 18" W x 22" D x 13" H.
* Base Weight: 18 lbs.